The Fire Pro Wrestling World PS4 release date is incoming! Fans in the US will be able to get their hands on the wrestling game on August 28, 2018. Meanwhile, the EU version will land on September 28, 2018. PS4-owning wrestling fans will finally have some much needed grappling variety this Summer! The legendary Fire Pro Wrestling series returns to a Sony console with Fire Pro Wrestling World. Better yet, it’s bringing some famous friends along. Spike Chunsoft’s incredibly deep, retro-fuelled suplex machine has come through Early Access on Steam relatively untroubled. 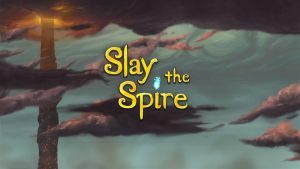 It then released in full back in December on PC. 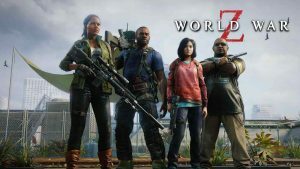 Now it sets its sights on dethroning the current default champion on PS4, 2K’s WWE 2K series, with a vague release window of Summer. That effort is bolstered by a lucrative newly-announced partnership with New Japan Pro Wrestling, one of the biggest wrestling companies in the world. NJPW will include its roster in the game. That roster features the likes of top talents such as Kazuchika Okada, Tetsuya Naito, Zack Sabre Jr, Marty Scurll, and the really rather good Kenny Omega among others. That isn’t the end of NJPW’s involvement however. 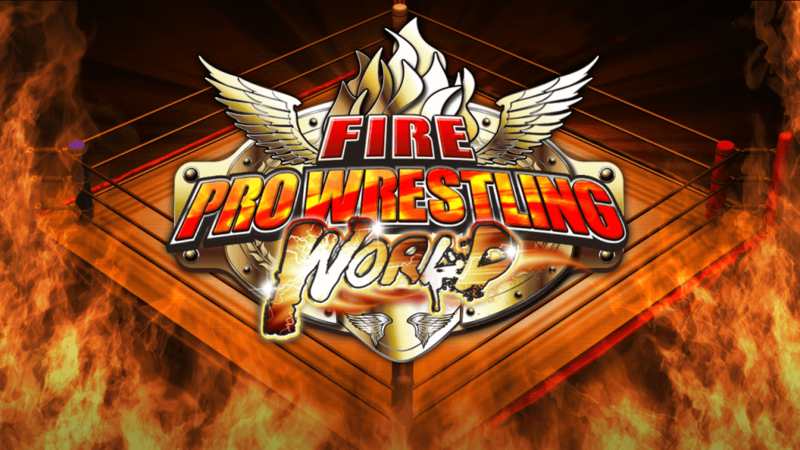 Fire Pro Wrestling World will get also get a NJPW-flavoured career mode. Players will take a young rookie grappler and aim for NJPW’s premier title, the IWGP Heavyweight Championship. Make no bones about it, consoles could do with a bit of competition for WWE 2K. Despite doing well year-by-year, the games have been steadily declining in ingenuity and quality. A quick annual turnover continues to stifle any shot at evolution. Last year’s WWE 2K18 was chock-full of modes and fairly good fun. Sadly it learned very few of the lessons it desperately needed to. Here’s hoping that just as NJPW grows in popularity in reality in the face of the safe, often confusing booking of WWE, the same can be said of Fire Pro Wrestling World in its battle against WWE 2K. In both cases, it could, and should, make the market leader sit up and take notice. 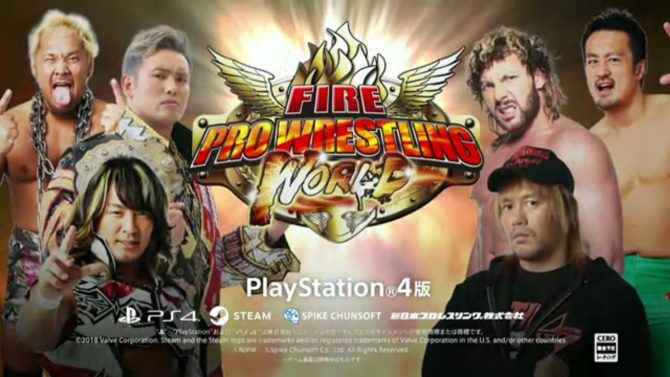 I will love it if the PS4 version of Fire Pro Wrestling World gets a UK release.